The Men in Black movies were never meant to be the most serious of science fiction endeavors, and yet they're undeniably entertaining and have a unique appeal all of their own. The franchise pretty much capped off with just two movies and an animated TV series and it seemed that things were left at that. It was a bit of a surprise when a third installment was announced and at first I was pretty skeptical about it. 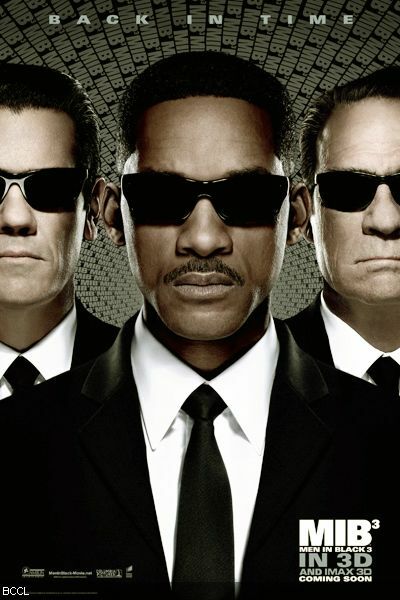 After all, it has been pretty much 10 years since Men in Black II and thus all the actors are a lot older now. It begs the question of whether or not they can still handle the often rather physical comedy aspects to the movies among other things. Plus the series seemed pretty wrapped up at that point. However the movie did get made, released and, well, was pretty successful in its own right. And that certainly had me curious as to what this movie truly had to offer. And I was pleasantly surprised, to say the least. Synopsis: Men in Black 3 (or MIB 3) is the 2012 science fiction comedy sequel to the prior Men in Black movies. Like the others, it was primarily based on a comic book of the same name created by Lowell Cunningham. This third movie was directed by Barry Sonnenfled based on a screenplay by Etan Cohen. 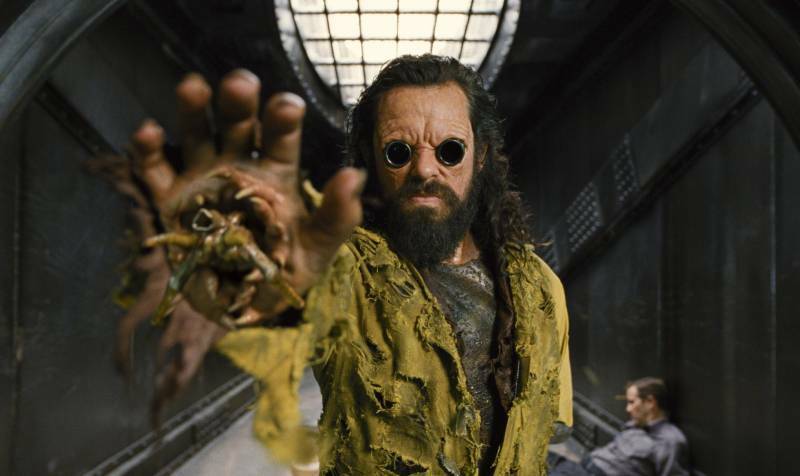 The story begins with a criminal known as Boris the Animal (Jemaine Clement) managing to escape from a secure facility on the moon. He blames Agent K (Tommy Lee Jones) for the loss of his arm and his incarceration and is determined to find a way to change history. 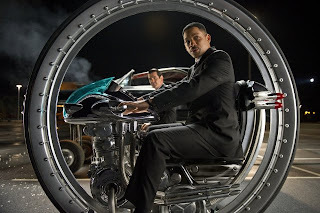 K eventually learns of Boris' escape while working on another case with Agent J (Will Smith), however he keeps his partner in the dark about his full history with Boris apart from his regret for never killing him back in 1969. When K disappears and everyone seems to have forgotten about him, J finds himself without his partner (and with a strange craving for chocolate milk). The new chief, Agent O (Emma Thompson) suspects time travel was somehow involved. And with a Boglodyte fleet - the same race as Boris - now in orbit and threatening Earth, J now has to find a way to travel back to 1969, stop both the past and present versions of Boris from implementing their plan and of course making sure J is safe in order to restore the timeline. Now of the biggest claims to fame for this movie beyond the 3D formatting (if you're into that) or even the time travel aspect was the prospects of seeing Josh Brolin play a young Agent K (and thus a young Tommy Lee Jones). And good grief, his portrayal is creepily uncanny that it's hard to believe that he's NOT a young Tommy Lee Jones. It's totally amazing and it a good enough reason to watch the movie on its own. 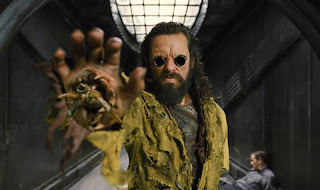 But as you expand things further, the movie actually has a pretty good story - one that I felt was actually better than Men in Black II, to say the least. The time travel aspect was more than just a gimmick - it was nicely integrated as a good plot device but not the main point of the story. Time travel is thus a part of the story but it does not define the story. And clearly the crew decided to have as much fun as possible with the whole 1969 depiction. Beyond the basics of costumes and hairstyles, the movie also made sure to involve a lot of background aliens that paid homage to various classic science fiction movies and also technology that also touched on old science fiction stories. The most notable of these is obviously the quirky gyro-cycles (for lack of a better term) that did make for a very fun chase sequence. Will Smith was, well, very Will Smith in this movie. And that can either be a good or a bad thing depending on your pre-existing opinion of Will Smith. At times it seemed a little weird that he still seemed to be attempting to portray himself ten years ago despite the progress within the movie as well in terms of Agent J's age and experience. To be fair, he still has the required physical prowess for the movie and the writers still enjoyed throwing him around at every opportunity. And there are just some things you shouldn't really do to guys in their older years. 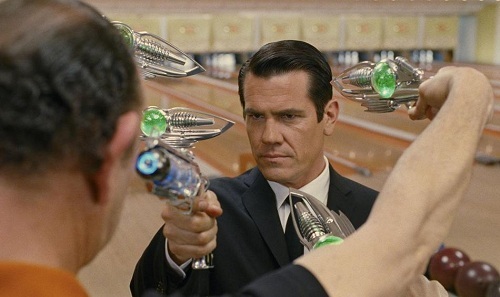 Men in Black 3 was definitely more enjoyable that I ever expected it to be. On it's own it is a pretty solid source of entertainment and one that I actually wouldn't mind watching again. It rates as 4 crazy "alien reveals" out of a possible 5. And I totally love Griffin (Michael Stuhlbarg).